We offer a huge selection of plants... But with limited space in our warehouse we can only have so much in stock. However with our network of suppliers we have deliveries weekly and can ususally meet your request with 10 businees days. There are thousands of different species of plants available with new ones being added each year. We can't list them all but the following groups give you an idea of what is available. If you are looking for something specific give us a call. We can also source "hard to find" plants or unusual species. This group includes the office plants, house plants, hanging plants, indoor trees, cactus and succulents, bonsai, living walls, fairy garden plants and foliage plants. Flowering plants are often used in commercial settings in plant beds or on reception desks or at home on a table. They include seasonal flowering plants such as Poinsettia, Easter Liliy, Mother's Day Roses as well as Orchids, potted 'mums, begonias, hydrangea. Flowering plants have a finite flowering time after which many can be cared for to re-bloom, treated as indoor plants, or put outside in the garden. This group includes the exiotic trees and shrubs we plant outside in containers such as oleander, hibiscus, standard rose trees, palm trees and mandevilla vine and bougainvillea vine. We also have citrus trees and bushes including Orange, Lemon, Lime, Kumquat and Kiwi. There are a lot of places selling annuals but if you want quality then we have partenered with growers in the Ottawa Valley to produce quality geraniums and other annuals. We also offer expotic annuals especially good for container gardening. 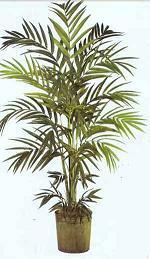 Good quality artificial plants and trees are difficult to source. We have suppliers in southern Ontario that can ship quality artificial trees, plants and flowers up to us at a moment's notice. We build our trees on natural trunks to give them a realistic look. We are commercial florists providing cut flowers and flower arrangements to hotels, office buildings and other commercial clients. As such we have deliveries of fresh cut flowers twice a week. From one metre long Cymbidium orchid stems to large Ginger stems, Callas and Asiatic lilies. We have over 200 varieties and species of cut flowers. Again we have partenered with high end good quality planter suppliers. Also as a commercial florist we have developed a network of wholesale suppliers that can deliver glassware and florist supplies for the D.I.Y.